At Qwinix, we have a DevOps state of mind and help our clients achive the same. Whether a small company already implements DevOps or a large company is working to make the change, we lead by example and utilize DevOps practices ourselves to help our clients achieve digital excellence. Part of this means redefining employee roles and collaboration. Steve Lynch, our Director of DevOps, says, "We help our clients by first breaking down the pre-existing stereotypes and then redefining the employee roles to promote a collaborative working environment." to improve productivity and team quality. At Qwinix, we're always looking for way to push existing DevOps boundaries to new levels. 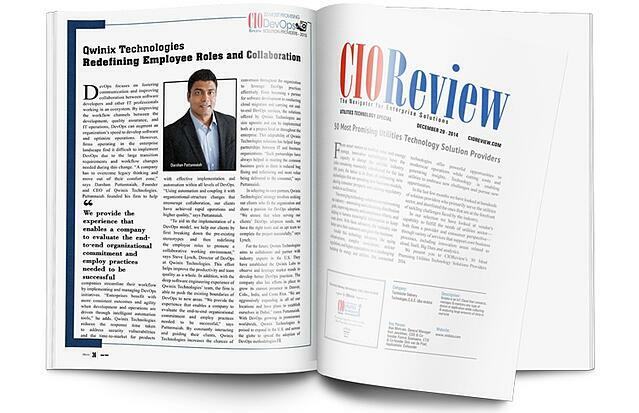 Check out the full article in CIOReview magazine.